The Manchester College – part of the LTE Group – recently appointed Bond Bryan and SimpsonHaugh to design their new City Centre Campus, opening in 2021/22. The aim for the new city campus is to create a ‘Centre of Excellence’ for higher and further education students – comprising exciting and flexible teaching and learning facilities that meet the future skills needs of the local and regional economy. The new campus also forms an important part of the continuing regeneration and transformation of Manchester – bringing a vibrant new student amenity into the city’s centre. The combined Bond Bryan and SimpsonHaugh architectural team offers the different and highly complementary skills and experience needed to create and deliver a truly innovative and inspiring City Campus for The Manchester College. 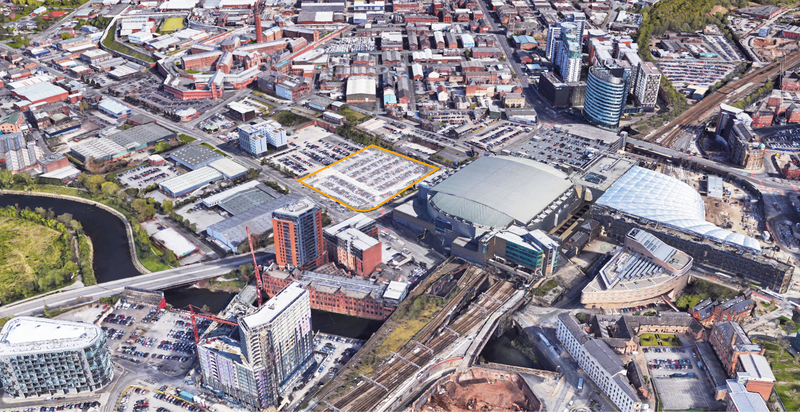 The acquisition of this prime site – close to major transport hubs and at the heart of a major regeneration scheme – has been made possible by the strategic support of both Manchester City Council and the Greater Manchester Combined Authority. The proposed new city centre campus forms a key part of Manchester City Council’s skills strategy, and will make a major contribution to the city’s vision for the Great Ducie Street ‘Strategic Regeneration Framework’.